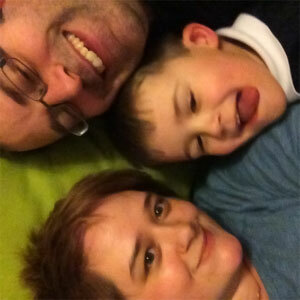 Jane, a Manchester Mummy, started her blog Hodgepodgedays in June of 2013. 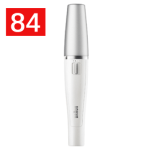 Jane reviewed the Braun Face on her blog. Both she and her husband tested out the cleansing brush on their face. She’s beautiful, loveable, the best mummy, and amazing. 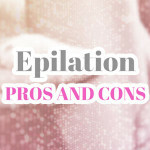 We sat down with her over a cup tea and some biscuits to discuss her blog, epilators, and more. 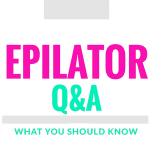 Epilator Central: Give us a little background on yourself? 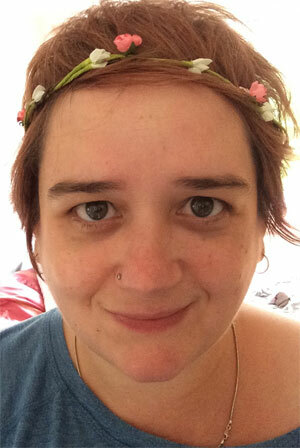 I am 38 years old and have a husband of nearly 15 years and a four year old son. 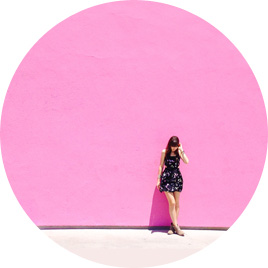 I am a copywriter, blogger and a social media manager. I originally trained as a journalist before working in education for a number of years and then ending up working for the NHS. After an accident I was unable to carry on working, so I set myself up as a freelance writer nearly two years ago and I’ve never looked back. I love the variety of work I do, from writing for magazines, producing newsletters for businesses and doing SEO copywriting for clients, it’s varied and it’s fun. No two days are the same. 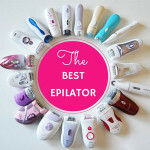 Epilator Central: We love the name of your blog. It is fun. Does the name have any meaning? Hodge-Podge is an English word which means jumbled mixture, when I first started blogging I didn’t really have a specific topic I wanted to blog about, I knew that like my life, my blog would be a ‘jumbled mixture’ of the things we do as a family and the things I enjoy as an individual. 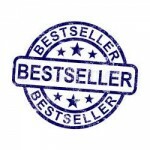 The name is quite fun, it’s a little bit different I guess, it gets a lot of positive comments – so thank you! 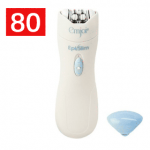 Epilator Central: You are also a social media manager. Tell us a little about that. These days it’s a bit of a side-bar to my writing work, but essentially I manage Twitter and Facebook accounts for a few local businesses, I also give advice and support as and when others need it and ask for it. 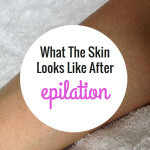 Epilator Central: What is your daily skin care routine? 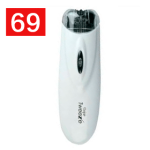 It’s fairly simple really, I’m lucky that I have quite good skin which isn’t prone to spots or blemishes, I wash my face with just water morning and night, about twice a week I will exfoliate with my Braun Face cleansing brush, I used to exfoliate with an apricot scrub, but the brush is better I think. Daily I moisturise with a mid-range day cream with an SPF of at least factor 15, I use an eye cream to help prevent wrinkles and at night I use a night cream. Occasionally I will use a clay face mask and very occasionally I will treat myself to a facial treatment at a spa or beauty clinic. I absolutely swear by wearing sunglasses, not only does it stop you squinting at the sun; they help to protect the delicate skin around your eyes! 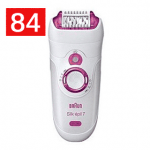 Epilator Central: What is the most difficult thing you have had to go through? Wow. Tough question. I mentioned earlier that I had an accident and had to leave work. I spent a year having painful spinal operations, physiotherapy and rehabilitation; I had to learn how to sit up again after nearly 8 months of lying down. That was pretty tough. At the time my son was two years old and I couldn’t really cuddle him, or do anything with him or for him, my husband had to do everything, which was tough on him. I’m still not able to do a lot of things with him, but we make the best out of what we’ve got. 2013 was a tough year. 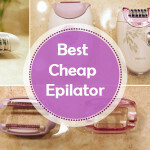 Epilator Central: We are so sorry you had to go through that sweetie. 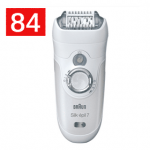 Epilator Central: What did you think about the Braun Face cleansing brush? 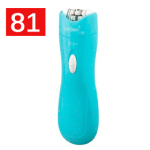 I was a bit sceptical at first, I wasn’t sure it would work but it gives a lovely deep clean, I’m very happy with it and my skin seems better for using it regularly. Not long after I started using it I went for a spa day at a very nice hotel in Manchester (UK) and I booked myself in for a facial. 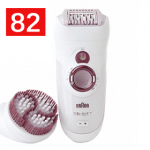 I was pleasantly surprised when the beauty therapist brought out a Braun Face cleansing brush and used it on me after she’d cleansed me; it was almost an official seal of approval that I was doing the right thing for my skin at home. 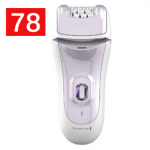 Epilator Central: We love that you give your husband to try out beauty things. Has he ever “borrowed” anything from you and made it his own? I have tried to get him to moisturise but he just won’t have any of it. What he does do is exfoliate his face before he has a shave. 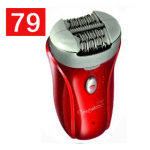 He thinks it gives him a better, closer shave. Every so often he will let me moisturise his face if it’s looking especially dry, but that’s about his limit. I always think it’s good for us both to try things, I have relatively sensitive skin and his is much tougher, but also much drier, so it’s interesting to see how different products work on us both. Just don’t tell his mates down the pub! 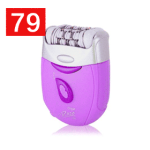 Epilator Central: Lol! We won’t. 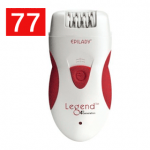 Epilator Central: You mentioned you used a ladyshaver in the 90s. What made it so terrifying? 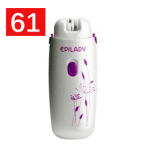 I think epilating technology has moved on considerably in the last 20 years, back then the ladyshave had really huge tweezing blades which were quite slow. 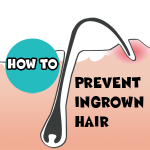 I think the slowness of the hair removal increased the pain levels. 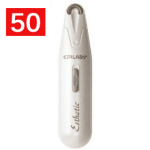 With modern epilators there’s very little discomfort because they are faster and a more refined design. 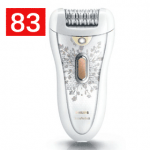 The ladyshave also made a really scary grinding noise which scared the life out of me before it even went near my legs – it’s a wonder I used it for as long as I did! 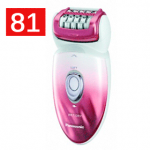 Epilator Central: Thanks sweetie for your time. We enjoyed having you. Take care and wish the little guy well.